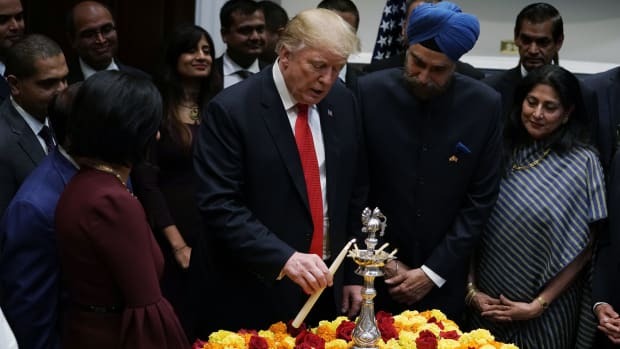 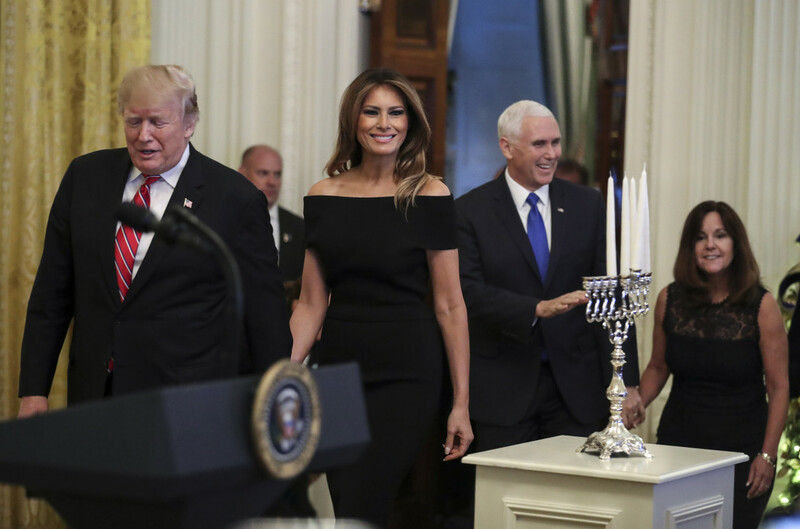 President Donald Trump, Melania Trump, Vice President Mike Pence, and Karen Pence attend a Hanukkah reception in the East Room of the White House on December 6th, 2018, in Washington, D.C.
President Donald Trump lights a "diya," or oil lamp, as Indian Ambassador to the United States Navtej Singh Sarna looks on during a Diwali ceremony at the White House on November 13th, 2018. 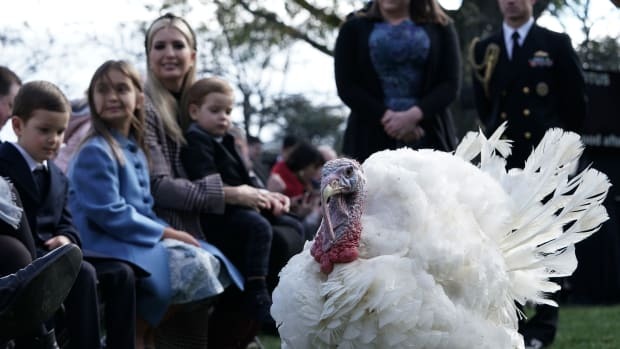 The two pardoned turkeys, Peas and Carrots, will spend the rest of their lives at a farm after the annual Thanksgiving presidential tradition. 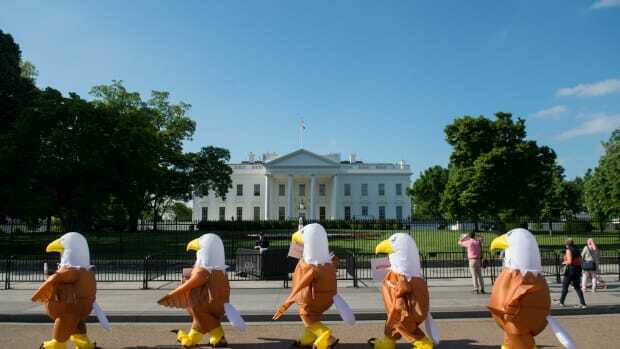 Advocates for national service dressed in bald eagle costumes rally in front of the White House in Washington, D.C., on May 7th, 2018. 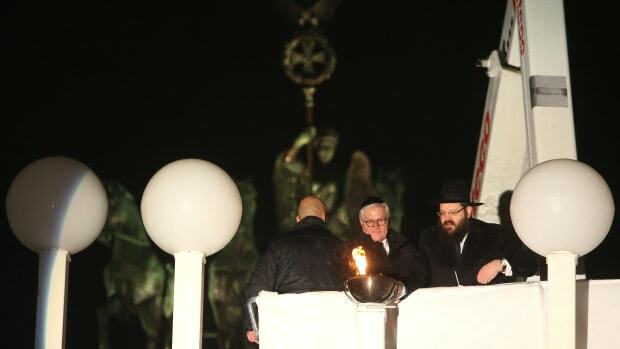 Rabbi Yehuda Teichtal (right) and German President Frank-Walter Steinmeier light Europe's largest menorah during a public ceremony on the first night of Hanukkah, on December 2nd, 2018, in Berlin, Germany. 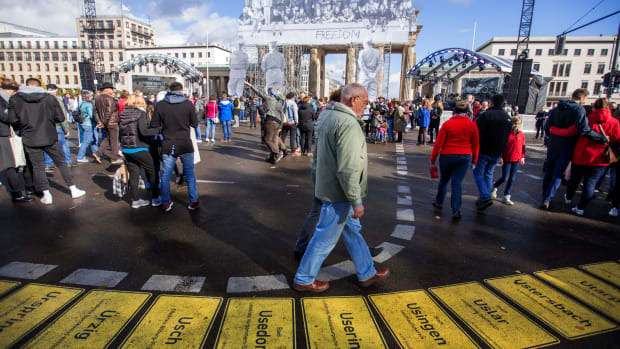 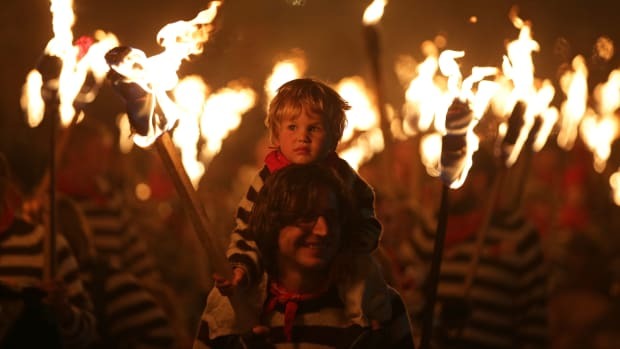 The national holiday celebrates the reunification of East and West Germany in 1990.